Students from the Liverpool Screen School have visited the most populated city in China and sampled other cultural delights as part of a three-week exchange trip. 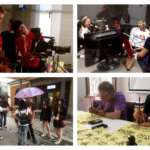 The John Moores University party was guided round Shanghai, a city of 25 million, by our exchange partners, Zhejiang University of Media and Communications in Hangzhou. 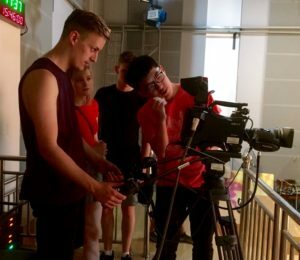 JMU Journalism’s Andrew Nuttall, Paige Freshwater, Sarah Williams and Danyaal Yasin are taking part in the working adventure, alongside Christopher Wyatt from Media Production and Christopher Hine of Film Studies and Creative Writing. 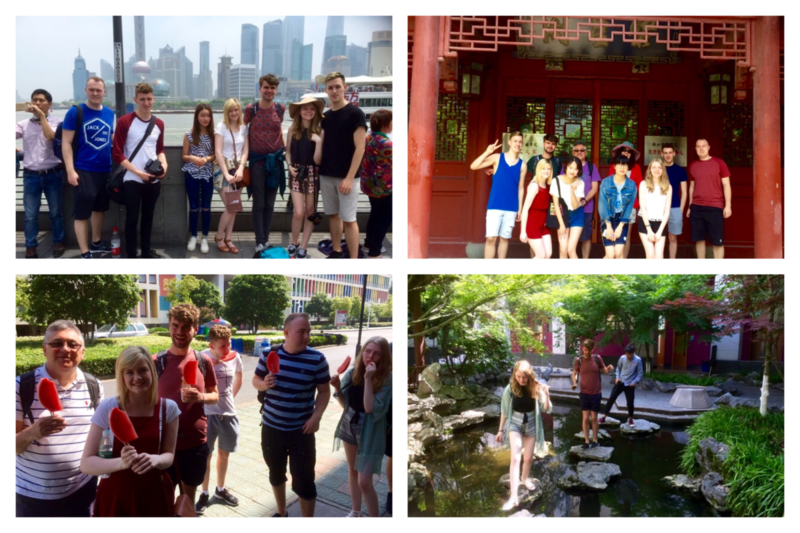 The group visited two market places, one traditional, the other, Tianzifang, which is more modern. They also had the pleasure of sampling the 200mph bullet train to and from Shanghai. Hangzhou station has the dimensions and security of an airport and is one of the biggest terminals in Asia. 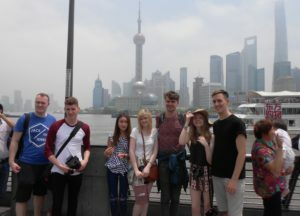 The hustle and bustle of Shanghai was evident with the masses of tourists and locals. This was particularly noticeable at the Bund, an iconic setting with views across the river to the commercial centre. 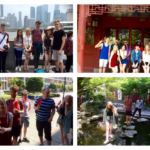 Our students also ventured to one of Hangzhou’s top tourist attractions as they were guided through West Lake’s five sections by representatives from ZUMC, where they were exposed to numerous gardens, pagodas, temples and artificial islands within the lake. International Journalism undergraduate Sarah Williams said: “The visit to West Lake was the highlight of my trip so far, it was so peaceful and scenic there. 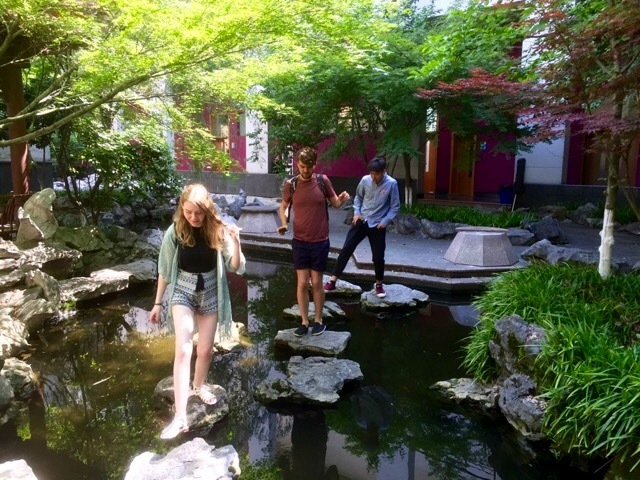 A few students from ZUMC showed us around and informed us of the history of the lakes. 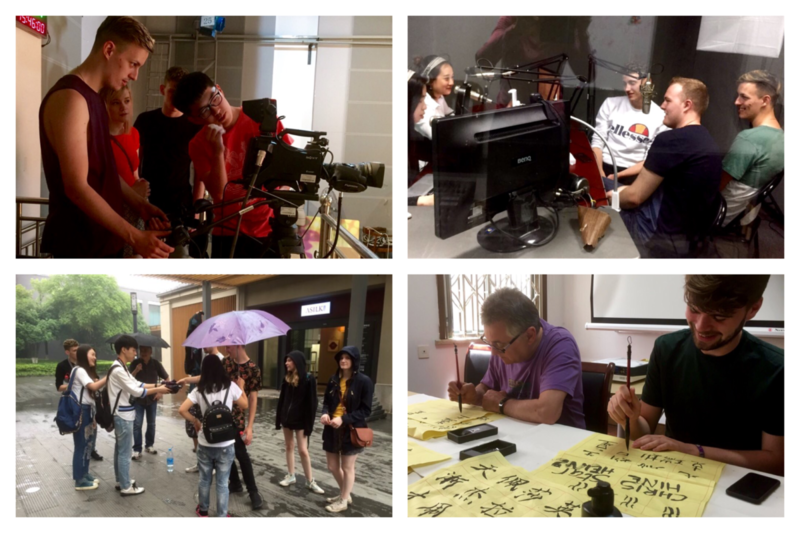 It was really interesting to find out about Chinese history and culture. The lake’s natural beauty and historic relics have influenced painters and poets throughout Chinese history. West Lake became a World Heritage Site in 2011, and is known to have to inspired garden design in the rest of China, as well as Korea and Japan. 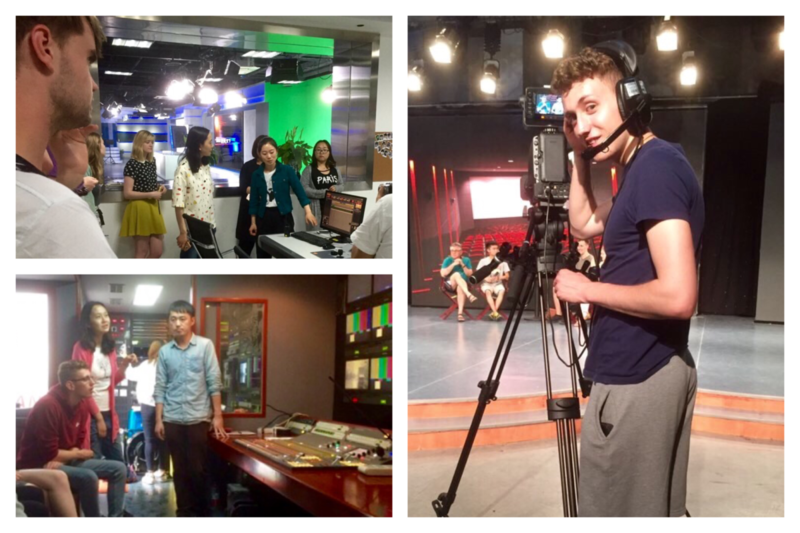 ZUMC bilingual broadcast student, Youlanda Ting, said: “West Lake is an important and valued part of Hangzhou history. The lake is famous for the White Snake love story. The tale is about two snakes which transform into people. The people then fall in love and get married. I think it is a lovely story. 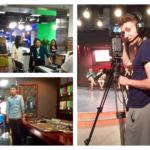 Photo galleries by Sarah Maclennan. Click on a thumbnail to enlarge the images.